British Airways awards are an invaluable resource for frequent flyers, thanks to their distance-based award chart, great availability, and cheap, one-tier redemption system. As part of the smaller oneworld alliance, British Airways doesn’t have quite as many partner award opportunities as members of the larger alliances, like United Airlines, but the fact that it lets you book nearly all partner awards online makes it simple to use. Given oneworld’s strong membership in Europe and Asian, you can use British Airways awards to comfortably get almost anywhere in the Northern Hemisphere. 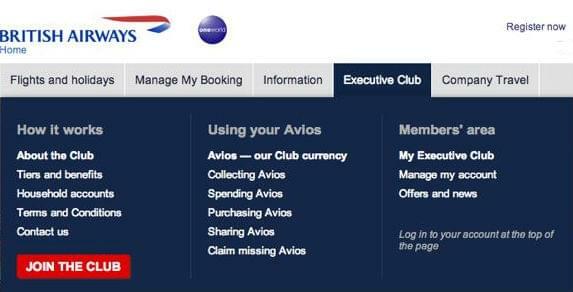 When Should You Use British Airways Executive Club Awards? British Airways really shines on regional flights that stay on one continent. Thanks to its distance-based award chart, round-trip flights between cities like D.C. and Montreal or San Francisco and Portland cost just 9,000 Avios, British Airways’ version of miles. Once you need to cross an ocean, however, you’ll often face steep fees and taxes for using Avios, even when flying on their main U.S. partners American Airlines and US Airways, or many long-haul Asian partners. While there are some ways around these fees, including using Aer Lingus to cross the Atlantic, you’ll generally get the best bang for your Avios using British Airways for short flights that would otherwise be priced three times as much on carriers with region-based award charts. 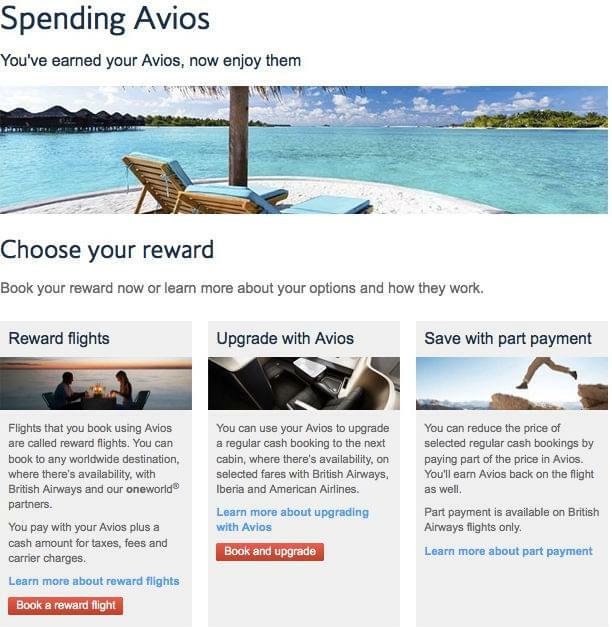 Unlike many of the domestic award search engines, British Airways keeps its award search function squirreled away, far from the easily accessibly cash ticket booking field on its homepage. 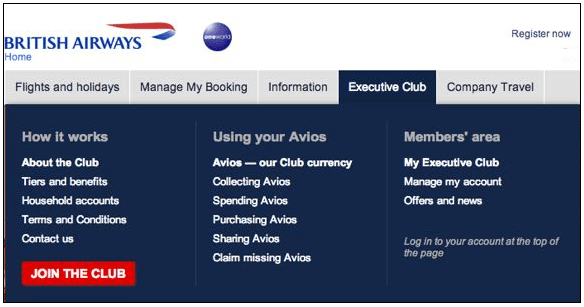 To find the award search form, hover your mouse over the Executive Club tab on the main menu at the top of the British Airways website until you see the Executive Club options, then select Spending Avios, the third option down in the middle column Using your Avios. Fill in the simple search query form. British Airways doesn’t have a multiple destinations option due to its distance-based (not zone-based) award booking that doesn’t allow for stopovers on the mileage charge calculation. If the flights you need aren’t searchable with the form, look up your itinerary segment by segment to find award space and then call to book. 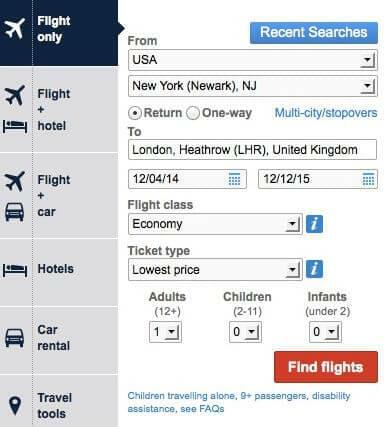 Before the booking system shows you your booking options, it will ask if you want to add a stopover. Unfortunately, this is not a carte blanche to make any stopover. Only London stopovers are allowed. You are also only able to book stopovers of up to 31 days online. Longer stopovers are permitted for the same price, but must be booked by phone. You have the option to check how many Avios you need between destinations using the Avios calculator. Since British Airways is a distance-based program, longer routes requiring connections can involve a dramatically different number of miles depending on what routing you choose. So it can pay, literally, to check out your options in the calculator before moving forward. The total Avios required for booking is not shown for each flight in the flight schedule options. 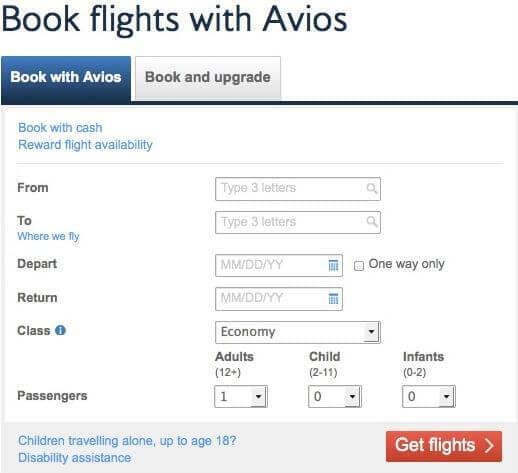 Please note that this Avios calculator is not available in the USA region. If you have seen a flight on a partner’s website and are not able to find it on the British website, you may need to go through the call center. 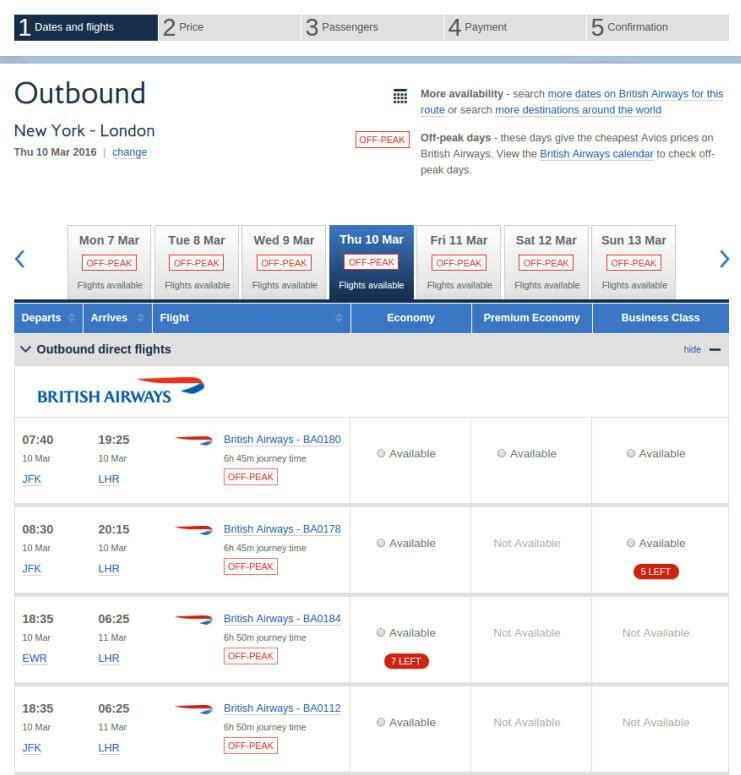 Unlike the award calendar that many airlines use, allowing you to see availability for both the outbound and return flight on one screen, you’ll need to manually search each separate day for each leg of your itinerary on British Airways. If you are able to find the flights you are interested in online, the booking process is very straight forward. As long as you have the correct number of miles already in your account, simply hit “continue” to enter your passenger information and pay for your ticket. 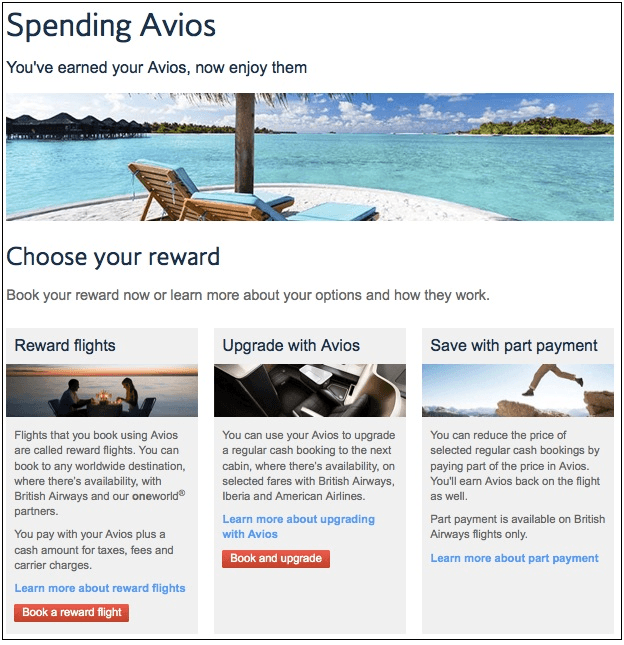 No holds are permitted on British Airways awards, so if you do not currently have enough Avios in your account, you only have two options: make an instant transfer from Chase Ultimate Rewards, or use an Avios + Money fare. Those fares begin at less than half the Avios typically required for the flight. You’re essentially purchasing Avios for 1.1-1.3 cents per mile under this offer, so it can be an exceptional deal. Booking British Airways awards by phone incurs a $25 booking fee. British Airways closed its U.S.-based call center in late 2013, but now allows U.S. customers to call any of their international call centers. This means you are no longer restricted to calling during limited business hours to make, change or cancel awards. However, this has created long queues at many of the remaining call centers. If you have a ticket that requires booking by phone, make sure that you call when you have at least an hour available, and, ideally, the option to put the call on speakerphone when you’re waiting. The British Airways call center is strictly divided into requests dealing with changing existing reservations and requests to create new ones. So, if the task you’re trying to accomplish falls into both camps, such as cancelling and reissuing an award ticket, you’ll need to wait on hold twice. In light of the increased pressure on the U.K. call center, some people have turned to the Singapore call center, reachable at +65 6823 2095 and open Monday through Friday from 9 a.m. to 5:30 p.m. Singapore time.